NICHOLAS “AXE MAN” WALTERS RETURNS! VERONA, NY (November 9, 2015) — Undefeated former World Boxing Association (WBA) featherweight world champion NICHOLAS “Axe Man” WALTERS returns to the ring to take on granite-fisted Top-10 contender JASON “El Canito” SOSA in a 10-round junior lightweight rumble. Walters vs. Sosa will take place on Saturday, December 19, at Turning Stone Resort Casino in Verona, NY. Promoted by Top Rank®, in association with Peltz Boxing Promotions and Warriors Boxing Promotions, Walters vs. Sosa will be televised live on HBO Boxing After Dark, beginning at 10:15 p.m. ET/PT. Doors will open at 6:00 p.m. ET. The telecast will also feature Bryant “By-By” Jennings vs. Luis “The Real King Kong” Ortiz in a 12-round heavyweight battle for the WBA interim Heavyweight title. That fight will be presented by Golden Boy Promotions, in association with Gary Shaw Productions. 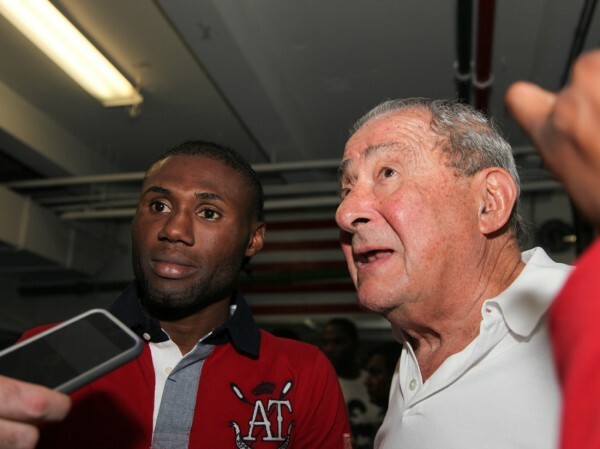 Walters and Sosa boast a combined record of 44-1-3 (35 KOs) — a winning percentage of 92% — with 80% of their victories coming by way of knockout. Walters (26-0, 21 KOs), from Montego Bay, Jamaica, has won 11 of his last 13 fights by stoppage. He captured the vacant WBA featherweight title on December 12, 2012, knocking out Daulis Presscott (26-1, 19 KOs) in the seventh round. He successfully defended the title three times during his three year reign — all by knockout — stopping Alberto Garza, former two-division world champion Vic Darchinyan and 2012 Fighter of the Year and former four-division world champion Nonito Donaire in the fourth, fifth and sixth rounds, respectively. A former amateur standout who collected gold medals at the 2007 Pan American Games Qualifier III and the 2005 and 2007 Caribbean Championships, Walters is known for his expert boxing skills and movement and two-fisted punching power that are at a caliber of a much higher weight class. In his last fight, on June 13 at Madison Square Garden, Walters was forced to vacate the title when he failed to make the weight limit by one pound. 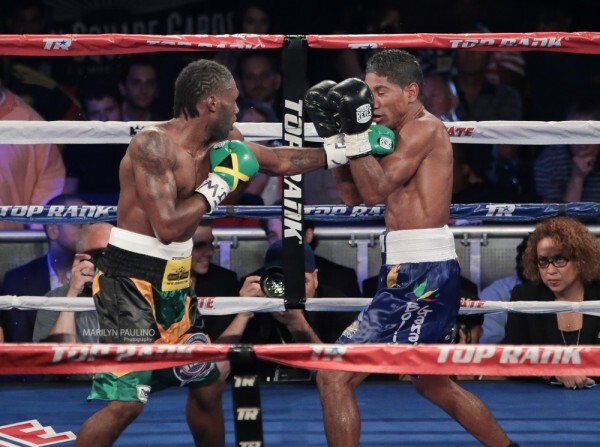 However, he emerged victorious, winning a unanimous decision over the previously undefeated Top-10 contender Miguel Marriaga. Sosa (18-1-3, 14 KOs), from Camden, NJ, enters this fight riding a four-year, 17-bout unbeaten streak which includes 13 consecutive knockout victories dating back to 2012! Many local fans, who flock to his fights, consider Sosa to be one of the best fighters to come out of Camden since Dwight Qawi. Sosa’s been a fan favorite since turning pro in 2009 because of his exciting and aggressive style, strong punching power and an average length of bouts of under four rounds. He is currently world rated No. 8 by the International Boxing Federation (IBF) and No. 13 by the WBO. Host of the event, the Oneida Nation’s Turning Stone Resort Casino, continues to distinguish itself as a premier destination for blockbuster boxing matches. The December 19 card will mark Turning Stone Resort Casino’s 16th nationally televised boxing event in less than two years, cementing the resort as a mecca for knockout televised fights. Located in Upstate New York, the four-season destination resort offers world-class entertainment and gaming, award-winning accommodations, a diverse mix of restaurants, luxury spas and several nightlife options.